We have uploaded to GitHub our latest plugin for phpBB 3.x. It makes it easier to use Latch technology with this popular forum system. You can download it form here. Here is a little how to so you can check how easy the integration is. If you want a full step by step guide, visit our slideshare channel. Curl extensions active in PHP (uncomment "extension=php_curl.dll" or "extension=curl.so" in Windows or Linux php.ini respectively. To get the "Application ID" and "Secret", (fundamental values for integrating Latch in any application), it’s necessary to register a developer account here. On the upper right side, click on "Developer area". 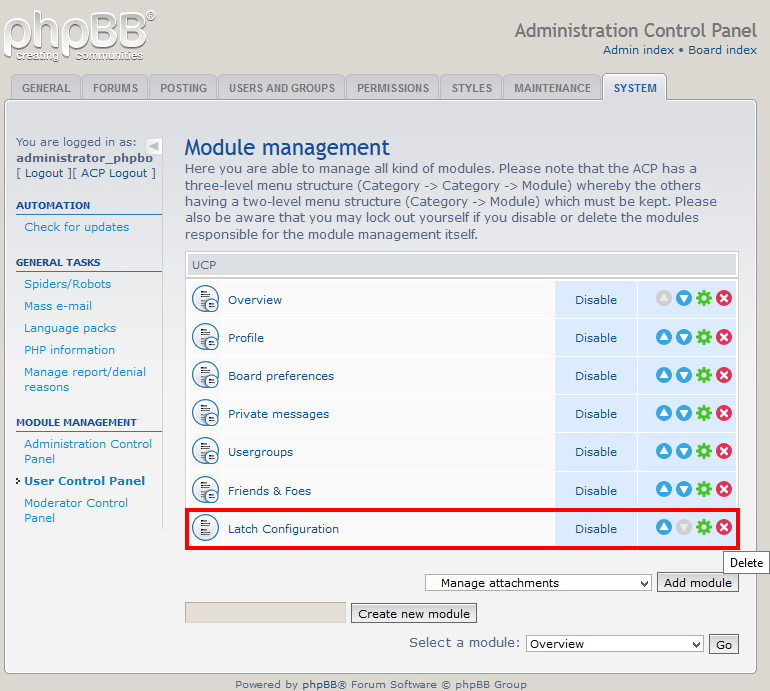 Once the administrator has downloaded the module, copy its content in phpBB root folder. Next step is to activate Latch module. From control panel, go to SYSTEM tab, and then to User Control Panel. Select from the menu Latch configuration and press add module button. After accepting the message, go back to User Control Panel, where there will be a table with installed modules. Latch will be the last one. 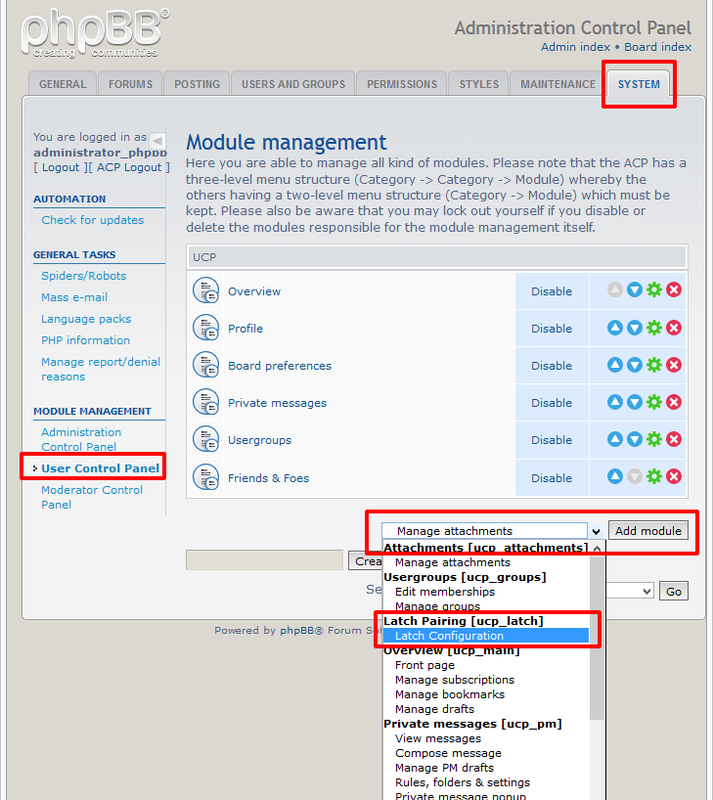 Next to Latch configuration text are the options available for the module. You must press on Enable to activate it. Last configuration is for removing the module. Next step is to include Application Id and Secret previously generated. Got to General tab, and to Authentication. The existing authenticating method should be replaced in the selectbox, indicating that from now on, authentication based in Latch is added. The second selectbox only appears when Latch is installed, and indicates the method Latch uses for authentication. This method must be the one that was previously indicated in the selectbox above. Press submit to end with module configuration. The module is now ready to be used. There will be a new tab Latch Configuration in user control panel. Go to Board index and then User Control Panel.